March madness is here and and it’s all about competition, even with fishing!. When the weather has cooperated, the fish have been biting, with reports of triple digit wahoo and yellowfin tuna, along with Blue Marlin already being released. Here are links to two recent videos from Captain Myles Colley on the new Born2Run: View Here and Captain Mike Roberto from the Reel Fire, View Here. Thanks for sharing guys; looks and sounds like the fishing season is upon us. 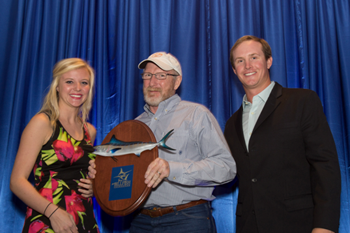 This marks our 11th annual Cajun Canyons Billfish Classic, with festivities starting on Tuesday, May 26 with our Dock Party, hosted by Cypress Cove Marina & Lodge, continuing with our Registration, Captains’ Meeting, Kick-Off Party and Charity Raffle benefitting The Billfish Foundation on Wednesday, May 27. We are pleased to be a Qualifying Event for both the Offshore World Championship and The Gulf Coast Triple Crown. We would like to welcome new sponsors Boat Stuf and Yamaha Outboards coming on board as new Silver Level sponsors, along with The Roosevelt Hotel New Orleans sponsoring our Top Female Angler Award with a weekend stay at their recently renovated historic hotel. Also, we are pleased to announce that Mustad Hooks has signed on to become our Official Captains Bag Sponsor and Official Hook Manufacturer–welcome aboard, joining our other sponsors-the best of the best. Our 2015 Entry Forms and Schedule are posted on our web site, www.comefishLa.com, so be sure to get your early entry postmarked prior to April 1, 2015 to take advantage of our discounted entry fee of $1500.00 ($1750.00 after April 1, 2015). Congratulations are in order for some members of our fishing community. The Billfish Foundation recently had their annual Tag & Release Awards and Al Roper, fishing on the Michi, took Top Tagging Captain in the Gulf of Mexico-Blue Marlin category, with Don Thrasher, Captain of Business Interruption, taking Top Tagging Captain in the Gulf of Mexico-White Marlin Category, with Jimmy Crochet taking Top Overall Tagging Captain and Top Overall Tagging Boat on the Conundrum (along with Mates Mike Noling and Zak McKinney). Here’s a link to the awards press release. 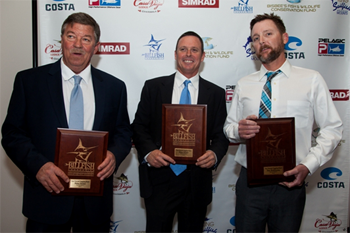 This was the first year that the Gulf of Mexico was a separate division and we are proud to have all three of these boats as members of our fleet–congratulations to all for tagging your billfish releases and supporting The Billfish Foundation and their research. For more information, please visit www.comefishla.com or telephone (985) 732-7280.